As I’ve said in the Afterword to Peculiar Lives, it’s my sincere hope that readers will be able to experience my novella in isolation from its literary influences. The book is designed to stand alone, and if it doesn’t then I’ve failed to achieve something which I set out to do1. However. The novella wears its debt to the novelist Olaf Stapledon on its sleeve, to say the least, and it’s deliberately immersed, both stylistically and in terms of theme and content, in the British tradition of the ‘scientific romance’ – the intellectual science fiction of the pre- and inter-War years. I’m more familiar with this milieu than most, having written in detail about the fiction of (among others) HG Wells, George Bernard Shaw, CS Lewis, Aldous Huxley and, of course, Stapledon himself, as part of my doctoral thesis. I don’t expect my readers to be similarly conversant. So here – purely, it must be said, for the entertainment of those who wish to delve a little deeper into the book’s themes – are some notes relating the novella to this cultural background. As the Afterword suggests, ideas of long-term social planning and the biological perfectibility of ‘mankind’ had become an intellectual commonplace after the First World War. Perhaps, as my character Gideon Beech suggests, it was the War itself – an evident and horrific failure of humanity on the part of much of Europe’s population – which made such ideas so appealing. However, they had already been apparent in embryo in late Victorian imperialistic attitudes, and in the early models of evolution which saw humanity’s development as an ‘ascent’ from the status of the animals. Certainly these and similar notions were highly popular among the intellectuals of the day. In Gaudy Night (1935), the detective novelist Dorothy L Sayers has a minor character who campaigns for ‘the sterilisation of the unfit, and the encouragement of matrimony amongst the intelligentsia.’ Sayers herself was a Christian humanist, both liberal and humane in her outlook, and Miss Schuster-Slatt’s views are most certainly not hers nor those of her protagonists. Even so, the character is treated as a harmless crank, as comic relief in fact, and not – as a modern novel would surely depict her – as a dangerous madwoman or fanatic. Similar views were held by many among the literati of Europe and America, as well as scientists such as the Marxist biologist JBS Haldane. Prof John Carey’s book The Intellectuals and the Masses (1992) charts their evolution in the literature of the time, particularly in the works of Wells, Shaw, DH Lawrence, Graham Greene and various writers of the Bloomsbury set2. What Carey does not mention is that this complex of ideas was particularly prevalent in the science fiction of the era, which as a future-oriented genre paid particularly close attention to the question of humanity’s fulfilment, or otherwise, of its social and biological potential. One manifestation of these ideas in SF was the prevalence of the ‘superman’ story, wherein a ‘highly evolved’ and superior human being is born, usually by a genetic accident, and demonstrates his superiority to contemporary humanity before (usually) they kill him. The implication is that contemporary humanity is not yet ready to face its responsibilities, but that the superman’s day will come. The classic of this sub-genre is JD Beresford’s The Hampdenshire Wonder (1911), after which the ‘Hampdenshire Programme’ in Peculiar Lives is named3. There were other manifestations, however. Much futuristic fiction of the time portrays (usually approvingly) extensively thought-out programmes for the sociological and scientific ‘improvement’ of humanity. The aim of these is usually to improve people morally, as well as physically and intellectually: to create, as Beech suggests, a world in which the horrors of the Great War could never recur. This is, of course, a long-term end, and so far as it goes an admirable one. It is the means which the authors usually suggest for attaining it which tend to horrify the modern reader. The usual proposal – seen to its fullest extent in works like Wells’ The Shape of Things to Come (1933) – was for the establishment of a global scientific elite who would take over the responsibility for ‘directing’ the masses. Their enlightened will would be enforced, both politically in the short term with education and indoctrination, and biologically in the long term with eugenics and (what we would now refer to as) genetic engineering. The parallels with the principles and methods which informed Adolf Hitler’s Third Reich are obvious (a point which Carey’s book makes rather heavy-handedly, by analysing Mein Kampf (1926) alongside the work of the British intellectuals). The Nazis’ brainwashing of the younger generation of Germans, their attempts to remove from the gene-pool all those whom they considered unfit, their Nietszchean cult of the superman and even their rhetoric of a society which would last for a thousand years, are all profoundly reminiscent of the programmes which Wells and others had been formulating in their fiction. This is not to say that Wells and co were Nazis themselves, nor even necessarily right-wing in their outlook4. Most certainly the racial premises on which Hitler based his Final Solution would not have presented themselves to these writers in the same terms. While the idea that the different ‘races’ of humanity had different intrinsic characteristics was a commonplace of the time, the proposition that certain races were essentially inferior (or even evil), to the extent that they must be wiped out, was one that most contemporary intellectuals would certainly have blanched at. Nor is it the case that such assumptions were universally accepted, or that such programmes of futurological planning had no critics. Huxley’s dystopia Brave New World (1932) famously presents a future based on precisely these lines as being a living hell, while Lewis was vocal on the faults of what he called the ‘metabiological heresy’. Nevertheless, in working to generate a cultural climate in which such ideas were admired, in proselytising so enthusiastically for a eugenic solution to the problem of building a utopia for humanity, Wells and his disciples must bear some portion of the responsibility for making the Holocaust possible. Ironically, their crime was one of lack of imagination. The real-world implications of the philosophies which they had expressed in fiction – and in particular the extensive and horrific human suffering which these implications entailed – seem to have been beyond their ability to predict. In Peculiar Lives, the general rule is that writers who were dead by 1950, when the narrative is supposedly written, are referred to by their real names and identities. HG Wells (1866-1946), in particular, is mentioned repeatedly – it would have been impossible to discuss the history of British science fiction without mentioning him by name – and indeed The Time Machine (1896) is quoted directly on p72, as an example of Victorian thinking in SF (This was a somewhat quixotic decision on my part, as – in contrast with the Stapledon quotes, which Olaf Stapledon's son John Stapledon kindly allowed me to use for free, the 44-word Wells quote cost me Â£65 in copyright permisssions.) Authors who were still alive in 1950 appear in the novella under fictional identities: George Bernard Shaw (1856-1950) appears as Gideon Beech, CS Lewis (1898-1963) as John Cleavis5, and, of course, Olaf Stapledon (1886-1950) becomes (with certain caveats laid out in the Afterword) my narrator, Erik Clevedon. Stapledon was a literary disciple of Wells, and his fiction was firmly of the eugenicist-utopian school of thought. Last and First Men (1930) describes, as part of the vast sweep of future human history with which it deals, numerous occasions when ‘Man’ betters himself through programmes of selective breeding, genetic engineering, educational indoctrination and, on occasion, wholesale genocide. While the negative aspects of these are acknowledged (the ethnic cleansing of the natives of Venus, for instance, is a decision which agonises the high-minded Fifth Men and which blights the lives of their immediate successors) they are seen ultimately as mere episodes in humanity’s noble struggle to achieve its evolutionary destiny, the utopian society of the Last Men on Neptune, billions of years in the future. Star Maker (1937) reveals that many other species in Stapledon’s fictional universe have gone through similar processes, giving rise to harmonious and godlike group-minds which come to dominate whole galaxies. One chapter of Last Men in London (1932) tells the brief story of an oppressed and embittered ‘superman’ whose values his early-twentieth-century contemporaries can never accept, and the theme of a potential successor to Homo sapiens being born before his time is treated at much greater length in Stapledon’s Odd John (1935). Odd John could well be called my primary source for Peculiar Lives, and it is supposed to correspond closely with the account of Percival’s early life, The Peculiar, to which Clevedon’s narrative is supposedly the sequel6. While certain elements of his history (the farm upbringing, for instance) are more familiar from Stapledon’s Sirius (1944), the story of an augmented dog with human intelligence, my character of Percival the Peculiar is closely based on that of Odd John7. Similarly, the far future which Percival and Lechasseur tour in Chapter IV is based – in broad outline if not in detail – on that of Stapledon’s Last Men, whom Sanfeil’s species resemble. Needless to say, Peculiar Lives takes liberties with Stapledon’s philosophy, primarily in showing how both Clevedon and Percival come to think better of their eugenicist principles. From the moment when he experiences his moral revelation in Chapter V.4, Clevedon becomes my mouthpiece rather than Stapledon’s. The original Odd John dies rather than give up his superhumanist ideals, and – as seen in the second quotation printed as an epigraph to the novella – Stapledon himself continued to espouse eugenics as late as 1948, well after the full extent of the Nazi atrocities had become apparent. The line from Odd John with which I have accompanied this quotation in the book becomes an ironic counterpoint to this. George Bernard Shaw – in whose voice I had enormous fun writing Chapter III.4 – was another proponent of eugenics. His plays Man and Superman (1903) and Back to Methuselah (1921) are his equivalents of Odd John and Last and First Men: the first portrays a contemporary ‘superman’ from whom future generations may be bred, and the latter a sequence of progressively distant futures which result from such breeding. Both men were of a mystical bent, but there were marked differences in the speculative theologies of Stapledon and Shaw, which I have Clevedon sum up, as accurately as I was able to make him, on pp64-65. Where Beech talks about ‘the Will of Life’, Shaw wrote of ‘the Life Force’, but otherwise the opinions of Gideon Beech correspond with the ‘genuinely scientific religion’ espoused by Shaw in his lengthy Preface to Back to Methuselah. A few aspects of the future portrayed in the final act of Shaw’s play, ‘As Far As Thought Can Reach’, also find their way into Sanfeil’s world as seen in Chapter IV. Finally, Lewis – one of the sternest contemporary critics of this strain of scientistic thinking – did indeed see Shaw and Stapledon as subscribing to a joint dogma, one which in his view ran the risk of remaking humanity’s descendants as a species without human values, their good or evil acts lacking any kind of moral dimension because their decisions had been predetermined by their eugenicist ancestors. His own science fiction trilogy – Out of the Silent Planet (1938), Perelandra (1943) and That Hideous Strength (1945) – savagely satirises the proponents of such ideas. There are many points on which Lewis and I part company; but ultimately his opinions of the world which Wells, Shaw and Stapledon hoped to usher in are not so very distant from my own. Of these men’s creative imagination, on the other hand, he was a great admirer, as am I. In the Preface to That Hideous Strength, which draws on many Stapledonian ideas for its inspiration, Lewis wrote that ‘Mr Stapledon is so rich in invention that he can well afford to lend, and I admire his invention (though not his philosophy) so much that I should feel no shame to borrow’. This, as much as the dual quotes from Stapledon himself, could stand as the epigraph to Peculiar Lives. 1. This even goes for the other books in Telos’s Time Hunter range. See here for more. 2. Carey’s book is polemical in tone, and should be read as such – I’m certainly not recommending it as a dispassionate account. I feel it’s particularly unfair to Virginia Woolf, whose diaries it cites from a period during which she was seriously mentally disturbed and suffering some extreme emotional reactions. 3. The references to the ‘Hampdenshire Programme’ leave deliberately ambiguous the question of whether the project was named after Beresford’s novel itself or after the birthplace of its protagonist, and therefore of whether The Hampdenshire Wonder is fact or fiction in the Time Hunter universe. 4. Shaw and Stapledon were, in fact, socialists and sympathised with communist Russia, although Stapledon had reservations about the Soviets’ practice of their supposed principles. Shaw was an outspoken supporter of Stalin. 5. Cleavis, who receives only a brief mention on p64 of Peculiar Lives, is a character from Paul Magrs’s novels, and was used by kind permission of Paul himself. See here for more. 6. For those keeping track, the Erik Clevedon books mentioned in Peculiar Lives, along with their Stapledonian counterparts, are as follows. The Peculiar is based on Odd John; The Coming Times and Men of the Times are meant to be Last and First Men and Last Men in London; The Star Beasts (mentioned only in Clevedon’s Foreword, p12) is intended to recall Star Maker, although the title comes from a phrase in Arthur C Clarke’s somewhat Stapledonian novel Imperial Earth (1975). Peculiar Lives itself has no direct equivalent in Stapledon’s work, but it occupies the same position in his canon as Stapledon’s final, autobiographical novel, A Man Divided (1950). 7. I was even able to give the cover artist Matthew Laznicka, a visual reference for Odd John, to use as the basis for his Percival. It’s just a shame that the space for artwork on the Peculiar Lives cover wasn’t large enough to allow for any naked ladies. As a curious side note JFK was assassinated 22 Nov 1963 the same day Lewis died. Design for Death is a 1947 documentary film that won the Academy Award for Best Documentary Feature. It was based on a shorter U.S. Army training film, Our Job in Japan, that had been produced in 1945-1946 for the soldiers occupying Japan after World War II. Both films dealt with Japanese culture and the origins of the war. Following the war, Peter Rathvon at RKO, who had seen Our Job in Japan during his own military service, decided to produce a commercial version of the film. He hired the original writer and editor to work on the new project. Theodor S. Geisel, who is better known by his pen name Dr. Seuss, co-authored Design for Death with his wife Helen Palmer Geisel. Elmo Williams was the editor for both films. Subsequently, Sid Rogell replaced Rathvon, and became the film's producer. The film was given wide release in January 1948; a review in Daily Variety characterized it as, "a documentary of fabulous proportions ... one of the most interesting screen presentations of the year". Bosley Crowther, writing in The New York Times, was not complimentary; he wrote that the film "makes the general point that too much control by a few people is a dangerous — a 'racketeering' — thing and that another world war can be prevented only by the development of responsible, representative governments throughout the world. That is a valid message, but the weakness with which it is put forth in a melange of faked and factual pictures and in a ponderous narration does not render it very forceful." In his memoir, Elmo Williams maintains that he and Geisel created Design for Death nearly in its entirety, and that the credits for Fleischer and Warth were nominal ones. Rogell, Fleischer, and Warth received the Academy Awards for the film. Copies of Design for Death are apparently rare. Geisel thought that they had all been destroyed. However, the Academy of Motion Picture Arts and Sciences sponsored a screening in October, 2005, and parts of the film were included in the documentary The Political Dr. Seuss. Some materials related to Design for Death, including its script, are in an archive of Geisel's papers. Perhaps because screenings have been infrequent, there has been relatively little critical discussion of Design for Death. Our Job in Japan, which is in the public domain, has been better studied. Primary sources. Individuals who witnessed the Holocaust first-hand-such as the engineers (Ch. 3). architects (Ch. 7), and doctors (Ch. 10) who participated in the building and running of the concentration camps, as well as individuals who survived internment in these same camps (Ch. 1)-give their accounts of the Nazi killing operations. These primary sources allow students to “hear” the voices of perpetrators and victims, alike, and build their skills as critical readers and historians. Secondary sources. Essays on the involvement of the SS (Ch. 11), IBM (Ch. 12), and Ford (Ch. 14) in the Nazi operations help students understand the role of business in the Holocaust. Additional secondary sources-such as a critical look at the ethics of Nazi architect Albert Speer (Ch. 8 ) and essays considering the political and ethical values associated with technology (Chs. 5, 6, and 15)-prompt students to question the connections between Nazi science and technology and the current uses of science. Discussion questions. Appearing at the end of eachchapter, discussion questions provide the basis for in-class discussions or essay assignments, by encouraging students to bring a more critical eye to the readings. 1. The Killing Process at Auschwitz-Birkenau - Miklos Nyiszli. Nyiszli, a Hungarian Jewish doctor employed by the infamous Nazi doctor of Auschwitz, Joseph Menegle, describes the step-by-step killing procedure of the gas chambers and crematoria at the Auschwitz-Birkenau death camp. 2. Design and Development of the Gas Chambers and Crematoria in Auschwitz - Franciszek Piper. Piper presents a detailed history of the five gas chamber and crematoria complexes, and the provisional temporary gas chambers, that were built and operated at Auschwitz-Birkenau from 1941 through the end of 1944. 3. Engineering Mass Murder at Auschwitz - Jean-Claude Pressac with Robert-Jan Van Pelt. Using the latest source material recently acquired after the fall of the Soviet Union, Pressac and van Pelt provide a history of the engineering firms that were involved with the SS in the design and construction of the gas chambers and crematoria at Auschwitz-Birkenau. 4. Technology and Politics in Totalitarian Regimes: Nazi Germany - Paul Josephson. Josephson presents an overview of the relationship between technology and political power in Nazi Germany, showing how the Nazis used technology to advance the political ideology of the Third Reich, while banning technologies that seemed “Jewish” or ideologically suspect. 5. Nazi Ideology, Management, and Engineering Technology in the SS - Michael Thad Allen. Allen examines the ways in which Nazi ideology influenced management and engineering decisions in the industrial operations of the SS. By examining several SS managers and engineers, including Chief of Engineering Hans Kammler, he discusses the reasons why technological professionals aligned themselves with the evil aims of Nazism. 6. Architectural Aesthetics and Political Ideology in Nazi Germany - Paul Jaskot. Art historian Jaskot focuses on the aesthetics of architecture as an example of the connection between political ideology and the development of technology in Nazi Germany. 7. Architecture and Technology in Nazi Germany: Memoirs - Albert Speer. In these excerpts from his memoirs, Speer, one of the highest ranking officials in Nazi Germany during the war, discusses his role as Hitler's architect, the role of technical professionals and engineers in the operations of the Third Reich, and the connection between his training as an architect and his service to the goals of Nazism. 8. Albert Speer: Ethics, Architecture, and Technology - Jack Sammons, Jr.
Sammons considers the case of Albert Speer as an example of ethics in the technological professions, and he argues that Speer betrayed the highest ideals of his craft--architecture--in his work to further the aims of the Nazi regime. 9. Genetic and Racial Theories in the Nazi War on Cancer - Robert N. Proctor. Proctor discusses how Nazi ideas of biological and racial determinism influenced research and industrial policy regarding the causes and cures for cancer. 10. Medicalized Killing in the Nazi Death Camps - Robert J. Lifton. In several selections from his book on the Nazi medical establishment, Lifton shows how the medical metaphor of the Jews as a disease in the German nation became the guiding principle for killing all undesirables in the Third Reich. Medical professionals oversaw all the killing operations at Auschwitz, and used Jews (and other prisoners) as subjects in grotesque medical experiments. 11. IBM in Nazi Germany - Edwin Black. In an excerpt from his controversial book, Black discusses the history of IBM's cooperation with the Third Reich and how IBM provided sophisticated information-managing technologies that the Nazis used in the labor camps, population censuses, and the armaments industry. 12. The Crime of I.G. Farben: Slave Labor and Mass Murder in Nazi Germany - Joseph Borkin. 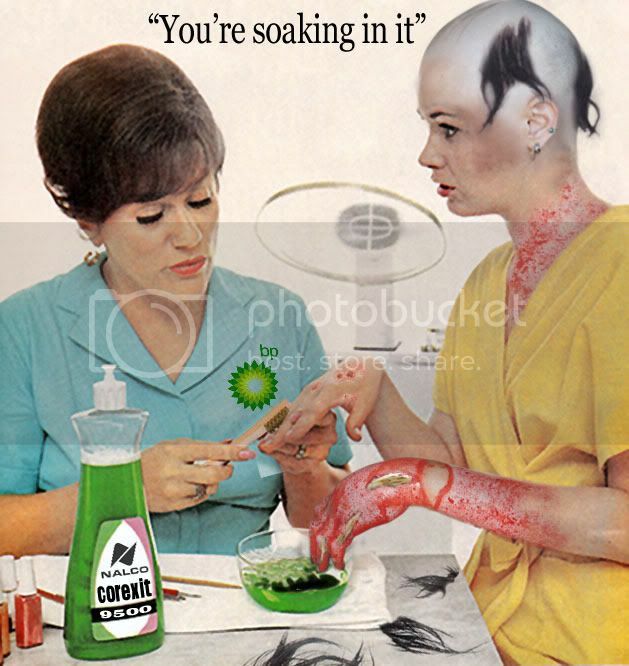 Borkin examines the history of the giant petrochemical corporation I.G. Farben and its alliance with the SS in the building of a slave-labor factory on the grounds of Auschwitz and in the manufacture of the Zyklon B gas that was used in the gas chambers. 13. Technological Evil: Cultural Values in the Holocaust-Eric Katz. This chapter provides a philosophical overview of many of the case histories in earlier chapters, arguing that the development of the Nazi concentration camps is a clear example that technology is endowed with the values of the culture that produced it. 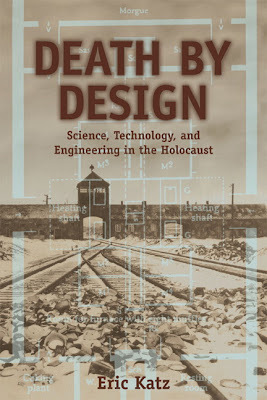 Through a selection of primary and secondary sources, Death by Design examines the uses of technology during the Holocaust and the specific ways in which scientists, architects, medical professionals, businessmen, and engineers participated in the planning and operation of the concentration and extermination camps that were the foundation of the â€œfinal solution.â€� The book discusses the overriding intellectual, ethical, and philosophical implications of the Nazi's use of science and technology in their killing operations. Primary sources. Individuals who witnessed the Holocaust first-hand-such as the engineers (Ch. 3). architects (Ch. 7), and doctors (Ch. 10) who participated in the building and running of the concentration camps, as well as individuals who survived internment in these same camps (Ch. 1)-give their accounts of the Nazi killing operations. These primary sources allow students to â€œhearâ€� the voices of perpetrators and victims, alike, and build their skills as critical readers and historians. Josephson presents an overview of the relationship between technology and political power in Nazi Germany, showing how the Nazis used technology to advance the political ideology of the Third Reich, while banning technologies that seemed â€œJewishâ€� or ideologically suspect. I just came across this from doing my own research. Just ordered this book today and will read for sure. It's just common sense that concentrating power in the hands of just a few people is a BAD idea.